Earlier this month, in my first post of 2018, I shared my thoughts and plans for the coming year at Flora & Fiber. In the ensuing weeks, you may have noticed that the blog has been a little silent. But rest assured, there's a lot been happenin' behind the scenes! I've put the proverbial pencil to paper to bring those plans to life. And that brings me to 'Alpaca - The Mini Series'. I looked at what I wanted to do for breed and fiber studies. Down breeds? Exotics? Protein vs. Cellulose? Comparing various longwools? In the end, I took my cue from what so many fiber bloggers have talked about recently . . . using what is in one's stash. And for me, the biggest fiber stash I have is ALPACA!!! Hence, I proudly present 'Alpaca - The Mini Series'. and waiting for his wash and fluff, Regalia (white) in all his 65 ounces of award-winning splendor! So what is scripted for this 9+ pounds of Alpaca? There'll be carding and combing. Dyeing. Spinning. Weaving. Knitting. Felting. Here's some sneak peeks . . .
A variety of fiber preps and specialty handspun alpaca yarns featuring dyed mohair locks added while spinning, a shrink boucle of alpaca and merino, a cloud prep technique, and wisps of silk blended in for pops of color. I've already talked about washing and combing alpaca fleece in this post. I'll add carding using both a drum carder and handcards to make roving and rolags. I will be weaving a shawl based on the Natural-color Alpaca shawl Sara Lamb presents in her excellent book 'Spin to Weave'. This project will star all four of the Alpaca cast in their natural color, as well as a little 'hanky-panky' takes place between Jose and Nellie to make a lighter shade of brown. In addition to blending and weaving, there will be combing, spinning, and a comparison of characteristics of the various fleeces. The next project is again inspired by Sara Lamb's book, this time a hand-dyed alpaca-silk blend shawl. This scene will feature white Regalia who will first be blended with tussah silk and then dyed in two different colorways - a semi-solid called 'Phoenix Butterfly' and a variegated called 'Red-Legged Ham Beetle' (I didn't make up the names, these are recipes I've found). So, again there will be blending, carding, spinning, and weaving of this hand-dyed fiber. another woven shibori project using a handspun 3-ply alpaca yarn along with a commercial cotton thread. The plan is to use an acid dye which should produce an interesting effect with the differing dye take-up on the alpaca (protein) and cotton (cellulose) fiber. This will be woven on a rigid-heddle loom. a playful necklace using 2 colors of alpaca-wool blend handspun as a thick and thin yarn. a knitted neck warmer with handspun black, beige, and naturally dyed (with my homegrown madder) alpaca yarn. But back to 'Alpaca - The Mini Series' . . .
All of these projects will be from huacaya alpacas. I'm in search of a suri alpaca fleece to process and spin. Suri alpacas have long, lustrous, curling locks. At the very least, I have a commercially prepared suri alpaca-merino blend that I can dye and spin for comparison. There will be a few other fun posts like making felted alpaca dryer balls and a trip to a local alpaca farm in neighboring Pomaria, SC. Carolina Pride Pastures will be shearing the weekend of April 14 and 15. Alicia has invited me to be a part of it (I'm so excited!). They will be shearing 27 alpacas and 2 llamas plus they are expecting 3 crias (baby alpacas) in late March! Obviously, many of these projects have multiple steps taking place over an extended period of time, so I will bring you process posts along the way. There will be non-alpaca projects too! I'm spinning Targhee (another breed study) for socks (every knitter has to knit socks, right?) I'm learning Norwegian through an online course. I've started my weft-faced pattern study with my first sampler about ready to come off the loom. We're expecting baby goats in March and April!!! And some things, you'll just have to wait for! 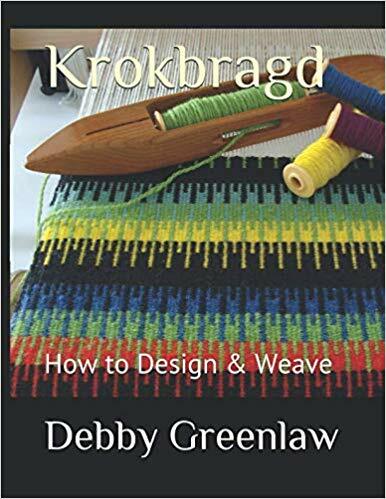 And the work on my book - 'Krokbragd: How to Design & Weave'. I currently have a solid outline of chapters and have written almost 16,000 words towards the first draft. I'm finalizing sample projects to be included and will likely be soliciting weavers to feature. Whew . . . that's ambitious! But for those who know me well, that's how I roll! I hope you enjoyed this glimpse into the future here at Flora & Fiber and that you will continue to come back and find inspiration! Carpé diem!